Mahr Micromar 40A 0-25mm Micrometer. 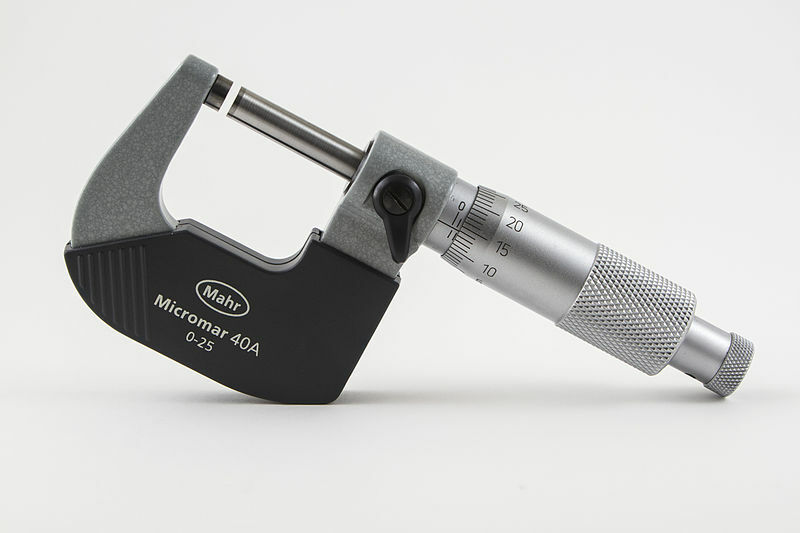 File:Mahr Micromar 40A 0-25mm Micrometer.jpg by Lucasbosch and licensed under the Creative Commons Attribution-Share Alike 3.0 Unported license. Available at the Wikimedia Commons.